SPECIAL: Book your summer vacation with us for a week and we will give you the 7th night free and cover the cleaning fee. Elevators make access from the parking area quick and easy. This bright new 3-bedroom , 2-bath condominium has everything to make your vacation perfect. The large screened in deck has a gas grill and a spectacular unobstructed view of the lake and state park. There is free internet access and soft water (a rare luxury in lake rentals). The master suite has a king bed, large private bath with jetted tub, separate shower, double sinks, large closet and of course more of that spectacular view. The great-room (living, dining and kitchen with cherry cabinets and stainless steel appliances) all have that same great view. There are flat screen TV-DVD players in each bedroom and a 60” TV-DVD and Bose Stereo in the living area. This unit is less than 10 minutes from the large outlet shopping mall, theaters, many great restaurants and several golf courses. This is the third year we've stayed here and it was better than the first two! New carpet and other updates. Perfect for our family with 3 adult kids. The owners are wonderful to work with and we love having the boat slip! Thanks again Jim and Margie! This is the third time we have rented this condo over the past few years and we had another great experience this time. Our family enjoyed the entire experience. 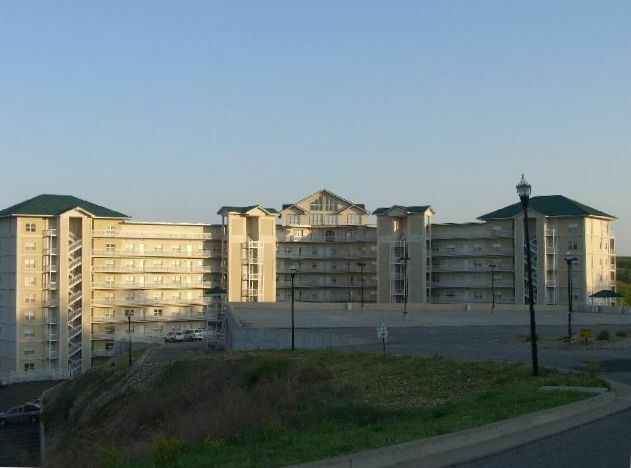 It is a beautiful well kept unit with a great view of the Lake. The owner is very good to work with and responds quickly if you ever have any questions. We would certainly recommend this condo to anyone. Thank you for the kind words. It has been our pleasure to have your family back again this year and we hope to have you back soon. Just returned from a great last-minute stay at the Lake! Great location, close to shopping and restaurants. The complex was very nice with lots of amenities. The owners were friendly and very helpful. The screened-in balcony was a wonderful way to have coffee and take in the views. Situated across the lake from the state park ensures beautiful views of the lake instead of staring at other condos. Very peaceful in the fall. Perfect for a getaway to shop and relax! Our family had a great time. The Condo is beautiful. It was very clean and had everything we needed to make our stay comfortable. The view of the lake is great and the entire facility is well maintained. I would definitely recomend this Condo to anyone looking for a relaxing vacation in a great place that is very close to boating, golfing, and shopping. Our family of 4 just returned from a week long stay in the Ozarks. We have visited the Ozarks for the past 8 years, and this was the nicest condos we have ever stayed in. The condo is nicely decorated and very well appointed with any amenity or cooking utensil a family could need. The building and grounds are well maintained and the elevator is an extra bonus for anyone with special needs, or luggage and groceries! Our family enjoyed boating to different restaurants (Top Sider, Dog Days, Coconuts, Captain Ron's), visiting the coves in the state park, swimming in both the indoor and outdoor pools, fishing from the docks, shopping at the outlet mall, and we even took in a movie while we were there. The owners were very easy to work with and gave us all of the information we needed. They were prompt in replies to emails and we also had their phone number if we needed anything during our stay. We would definitely return to this condo and would highly recommend it to family and friends! Thanks for a great stay!